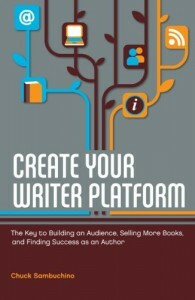 In Create Your Writer Platform, Chuck Sambuchino is better at addressing the needs of nonfiction than fiction writers and the concerns of authors who are seeking an agent rather than those who have chosen to go indie. Getting an agent is his area of nonfiction expertise. However, the book is still useful for an indie fiction writer. His target readers, new and midlist traditionally published authors, have to do a tremendous amount of their own marketing and platform-building, almost as much as self-published authors do. At four years old, some of the content is dated, and he makes an error in one suggestion about how to get names for a mailing list, but aside from that, if you approach the book with reasonable expectations and a tolerance for too much Chuck-stuff, it’s worth reading. Blog to give, not to get. Share something of value. It can be humor, experience, insight, advice, or resources. You will connect with readers more by giving value than by asking them to buy your book. Ideally, whatever it is you give builds your platform by having a thematic relationship to your books and creating connections with people who share that interest. The same applies to what you tweet. Ten percent of your social media posts should promote your books. The rest should be either genuinely social (Facebook) or content of value (blog and Twitter). Platform—the subject of an author’s expertise—is both specific and essential for nonfiction writers. It is variable for fiction writers. If you write cozy mysteries with a culinary theme, you probably have a cooking platform. If you write more traditional mysteries, maybe your setting is your platform. Perhaps expertise on writing is your platform. Focus on the aspects of platform-building you enjoy and do well. Never whine in public. Do your venting offstage. These few main points in no way substitute for the small details. I recommend this book for authors, published or unpublished, who want to get their platform act together. 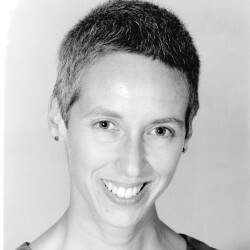 Amber Foxx is the author of the award-winning Mae Martin Psychic Mystery series.